The international Irish dance phenomenon returns by popular demand with RIVERDANCE – The 20th Anniversary World Tour will open at the Pantages Theatre in Hollywood on Dec. 1 and will run through Dec. 6. Recommended for Ages 5 and Up. In consideration of audiences, no one under 5 admitted to the theatre. All patrons must have a ticket. The international Irish dance phenomenon returns by popular demand with RIVERDANCE – The 20th Anniversary World Tour. The production, which is composed by Bill Whelan, produced by Moya Doherty and directed by John McColgan, is currently celebrating a sold out, critically-acclaimed run across Europe and Asia and will arrive in North America in Fall 2015. 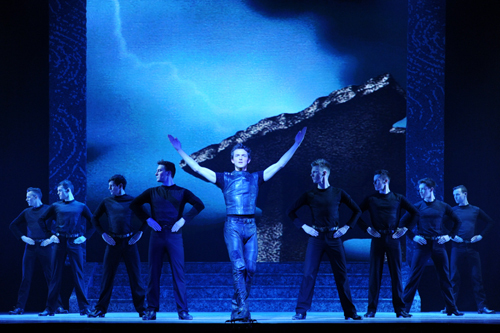 RIVERDANCE – The 20th Anniversary World Tour is an innovative and exciting blend of dance, music and song. Drawing on Irish traditions, the combined talents of the performers propel Irish dancing and music into the present day, capturing the imagination of audiences across all ages and cultures.